Baba Dairy has become a must stop for us on our way to Karjat. 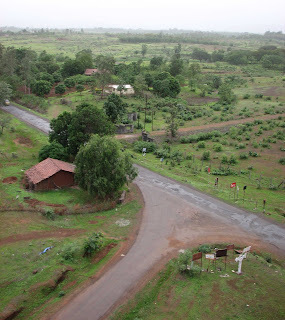 Situated few kms before chowk in Vavarle village, the dairy churns out some mouth-watering food and milk products. Baba Dairy has come up recently in the past 6-7 months, and since its away from Karjat city you get a good view of the mountain range from there. Each time we visit the place we find ourselves sipping on the delicious thick lassi (Rs 15) or gobbling up the delectable paneer parathas. The Paneer parathas are stuffed with Paneer mixed with Coriander and Chilli, making the filling inside greenish in colour. The soft Paneer is made at the dairy itself and it literally melts in the mouth, and its served with Curd and Pickle. All it comes for just Rs 35. We have tried all the sweets available there and can vouch for the Malai Sandwiches, Chum Chum, Milk Cake and Rabadi, which is my favorite. The thick Rabadi is rich, heavy and definitely affordable. Priced at Rs 10 for 50 grams we end up bringing it back to Bombay to have it as a dessert after meals. If you want to binge and don't mind eating rich Indian sweets, then try out rabdi with milk cake, its a delicious combination. All the Baba Dairy products are priced at a very reasonable rate, that's why we like to eat there often. The other sweets like Malai Sandwich etc. cost Rs 10 per piece. The Pedas are unique, they are milkier than any other Pedas we have consumed, its kind of an acquired taste and you may not like it instantly. This was the fourth time we had visited Baba Dairy, and we were really keen to visit the huge tabela (cow shed) behind the eating area and shop. So we asked the manager there, and with a friendly smile he gave us permission to stroll through the premises that holds buffaloes and prepares these delicious sweets from fresh milk. The bovines were huge as you can see, all of them had tags on their ears and they occupied two sheds, placed in a row. There were other rooms as well, in some the workers were sleeping while in others they were making sweets. Next time you go to Karjat, make sure you drop by to have some fresh lassi and paneer parathas! 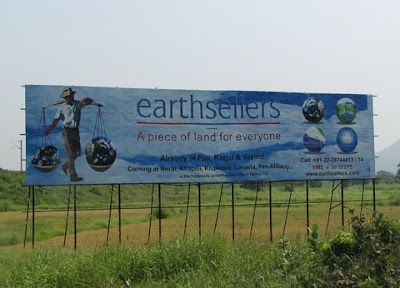 We all know the skies around Karjat are clear, the clean air makes it a fabulous place for star gazers. But wouldn't it be even better to watch the stars and learn about the constellations and their movements. 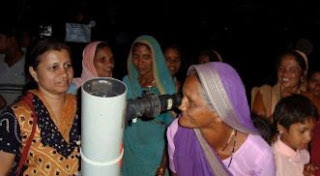 Thanks to a group known as the Khagol Mandal, a group of sky observers that have been conducting observation programs for over 20 years at Vangani. 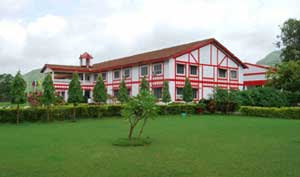 The group has also been educating teachers for nearly 25 years, hoping the information will be handed down to the school children. 3) 7.30 pm - 8.30 pm - First session about the evening sky. Any one from the age of 10 to 65 can attend this session, the cost is approximately Rs 100 and for members its much lesser. Khagol Mandal provides you with two cups of tea, so you need to carry a mug, your own dinner, a mat to sit on the open ground, warm clothes and gloves, a water bottle as well as a small torch covered with red paper. Its a 7 minute walk from Vangani station, you can take a train at 4pm from CST, please refer to the Karjat Train Time Table and be there before 6pm. Ask the locals for "Tarangan Marg" and it shouldn't be a problem. The program is usually arranged on a Saturday Night nearest to New Moon Day as the stars are visible more clearly with less moon light. The schedule is generally put up on the Khagol Mandal website, or you can also try contacting them on the email address provided there. 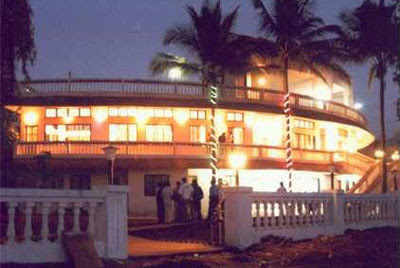 A HongKong-based shipping company, Anglo Eastern is slated to open a maritime academy in Karjat. They recently acquired an existing nautical college thats spread across 53 acres site, including hostel capacity for 240 students. 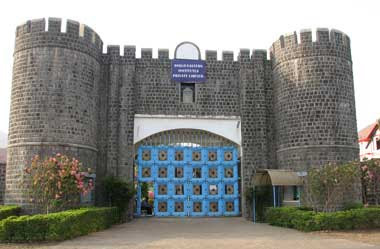 On our recent visit to Karjat we came across a massive structure before Sandshi village, the entrance seemed as if it was enclosing a palace, that's what I was told on asking a person at the gate. He said it was a palace and now its taken over by someone. 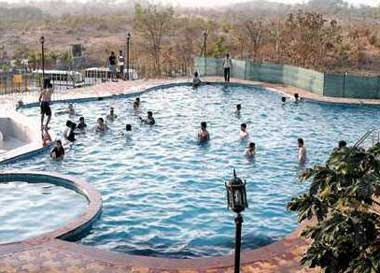 A palace in Karjat, sounds unbelievable! On doing research I got know that its actually a Maritime academy opened by Anglo Eastern. The academy commences its operations in August this year with first intake of cadets straight out of high school. 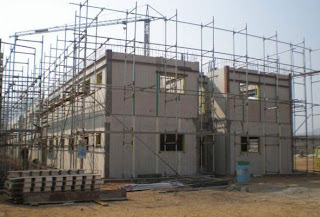 Anglo Eastern also has a training center in Mumbai, and together with the academy in Karjat it will be the largest and well-equipped training establishment in India. ature lovers now have an affordable option to stay in Karjat. 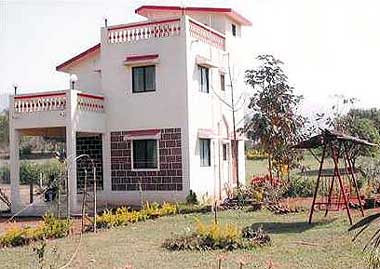 River Touch Resorts, built on the banks of River Pej amidst lush surroundings, offers a good break from the maddening crowd of the city at a decent cost. 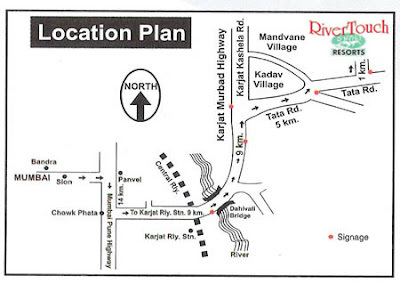 Located around 10 kms from Karjat railway station in Mandvane village, River Touch is partially air-conditioned, with a total of 10 rooms, bungalows, cottages and dormitory. 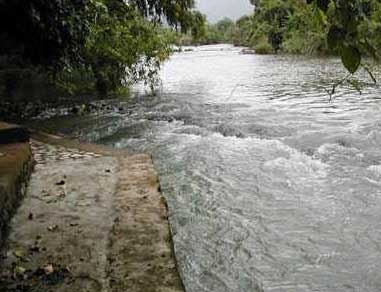 Families can also sit by the banks of the river Pej and relax, eat or just have fun. 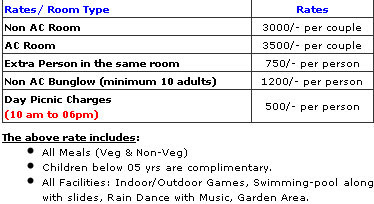 A room is available from Rs 3000 onwards which includes meals, games, swimming and rain dance. 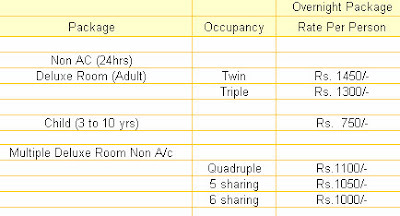 If not overnight then a day picnic cost comes to Rs 500 per person including all of the below.